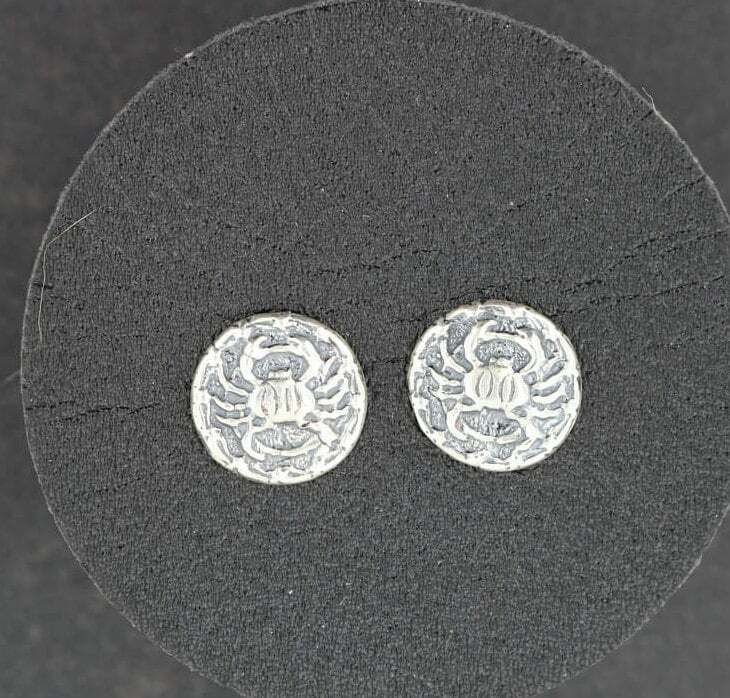 These are a pair of handmade sterling silver zodiac stud earrings featuring the zodiac Cancer. The earrings are 1cm wide and have a earring post soldered near the center top. The design is from the 1950's and I acquired it as well as other brass master designs from a jewellery store that closed down in '98. I remade them in sterling silver to reintroduce them to a younger audience. I also have matching medallions which I will be listing shortly!